MICHAEL Michael Kors "Divia" suede sandal. 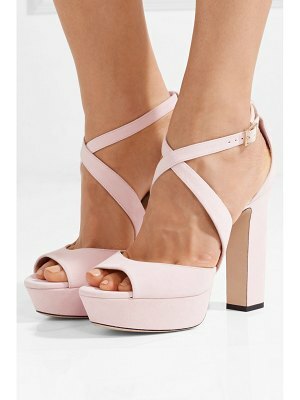 3.8" block heel with platform. Crisscross straps band open toe. Adjustable ankle strap. Padded footbed. Rubber outsole.